natural convection gives rise to roof space temperatures which are higher than the design temperature at occupancy level. 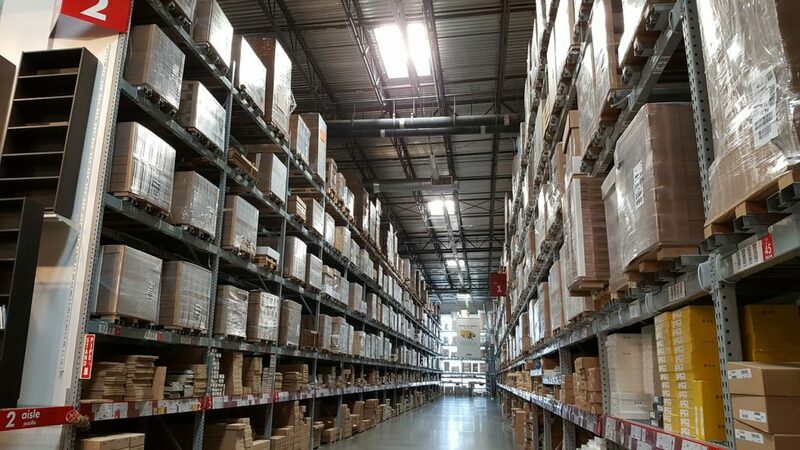 The cost effective way to overcome this stratification of heat and also to recover 'free heat' from lighting and machinery, etc., is to fit a system of destratification fans. 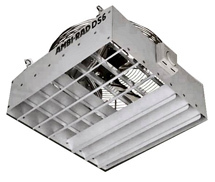 Ambi-Rad destratification fan units are available in three sizes, DS3, DS6 and DS10. They are self contained and incorporate adjustable horizontal and vertical louvres to give maximum flexibility of air distribution. A high efficiency axial fan, provides large volumes of recirculated air back to the working zone. An integral thermostat operates the fan when roof space temperatures rise. In well insulated modern buildings with low thermal inputs the destratification fans form an essential part of the air distribution system. 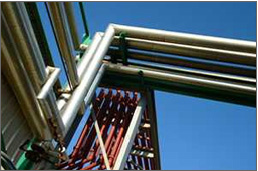 For frost protection applications special units are available. These should be linked into the heater control system to operate when temperatures fall below a preset point. Sufficient air destratification fan units should be installed to provide at least 2 volume turnovers. The air volumes are the primary air provided by the fans; in practice, the induction affect at the fan outlet ensures considerable mixing of the primary air with air from the working environment to provide air distribution without excess draughts.